Are you ready for some sophisticated summer fun in the sun Adelaide? The Moseley Bar & Kitchen has re-opened Australia's first beach club for the 2018/19 summer season. 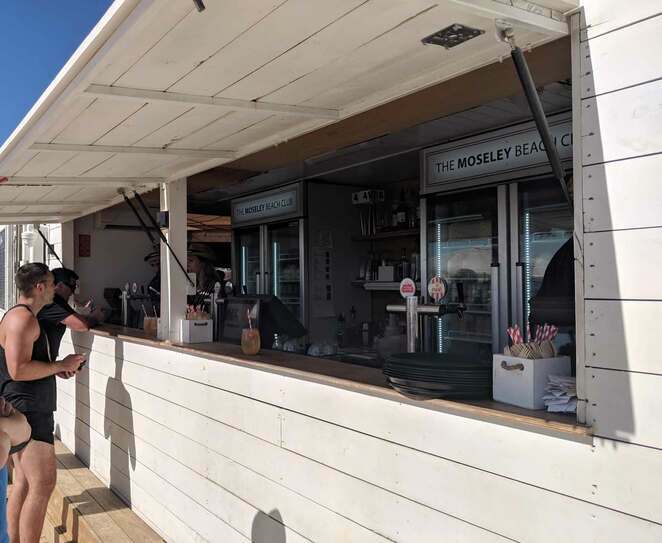 The Moseley Beach Club takes inspiration from premium beach clubs in Europe and Asia and features day beds and sun loungers for hire, along with a casual (family-friendly) dining area and bar with live acoustic music week nights and DJs on the weekend. 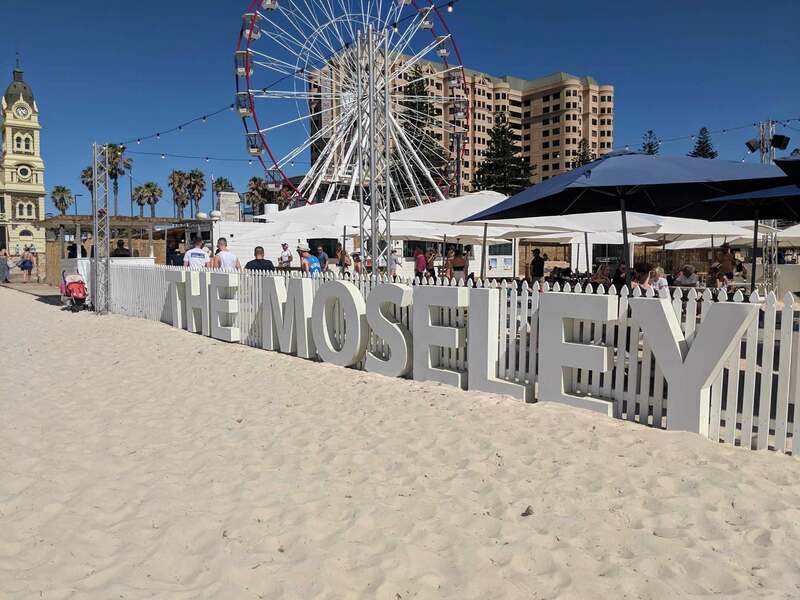 The Moseley Beach Club on Glenelg Beach continues until March 2019. It features free entry, food and drink options, a kid's zone, sun loungers, day beds and a variety of casual seating options. 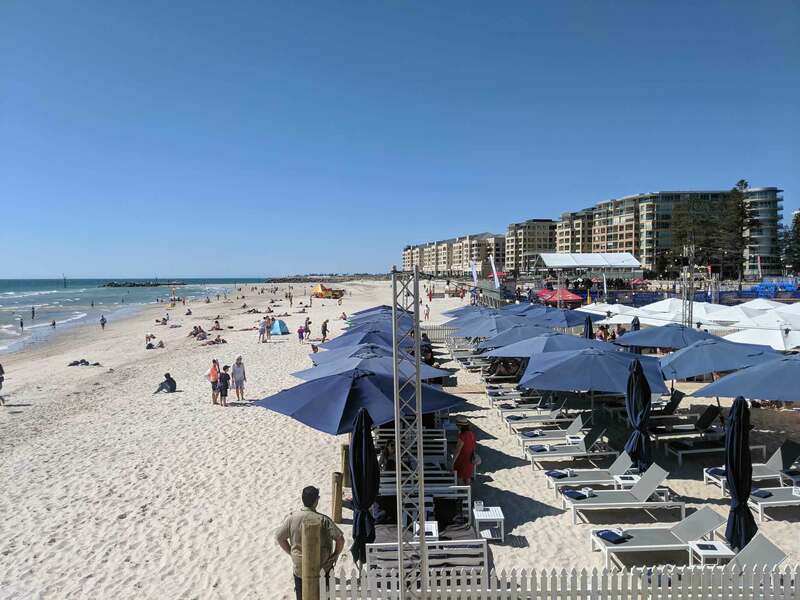 In the free general admission area, you can chill out on bean bags, sit at one of the tables, or just plonk yourself down on the sand in the shade (if it's not too busy) and enjoy the atmosphere. 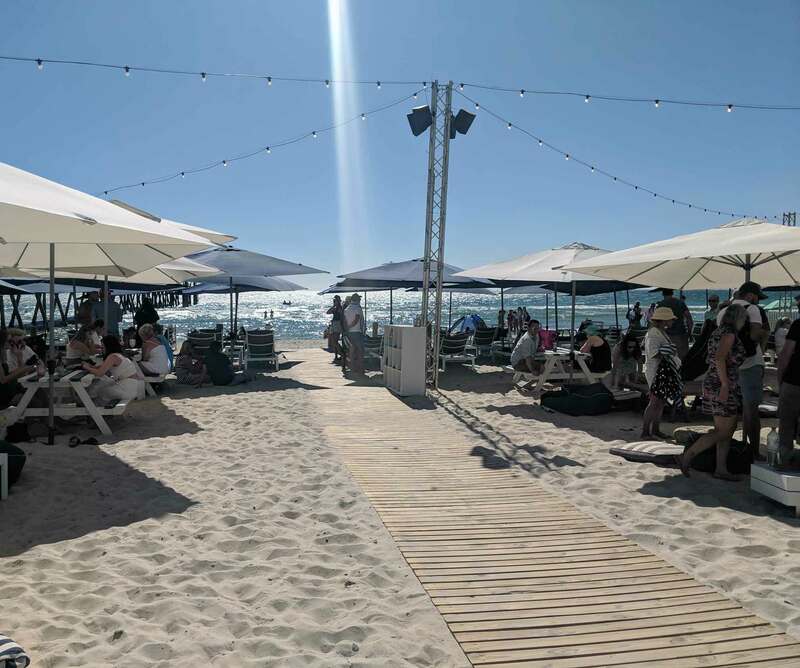 It gets busy at the beach club so be early or be prepared to hang around for a little while to snag a table or bean bag in the shade. Once you've got your seat you'll understand why people never seem to want to leave. 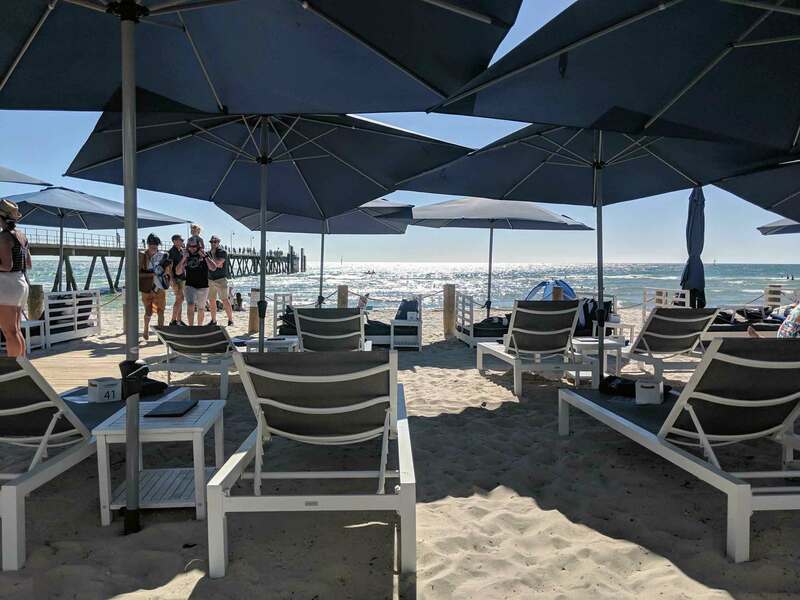 Sipping on a cocktail on the beach as you watch the cosmopolitan comings and goings under the Adelaide sun is relaxing and interesting. The day beds and the sun loungers are available for booking online here. The deal is sun loungers for one are $50 an hour, the day beds for a maximum of 4 people are $100 an hour. This amount is redeemable via the beachside service that comes to you and takes your orders for food and drinks. You don't even have to get out of your chair to get another drink! The cocktails are the 'instagrammable' highlight and there's a decent range of wine, beer and soft drinks to choose from. Cocktails start at just $9. The Coco Loco comes served in a fresh coconut and the Pine For You comes served in a fresh pineapple. Both are $22. The food is quite the premium offering and features summery beach dishes like oysters, prawn toasts, garlic chilli and squid, burgers, poke bowls, and ice-creams. The chips (with aioli) are crispy and fluffy. 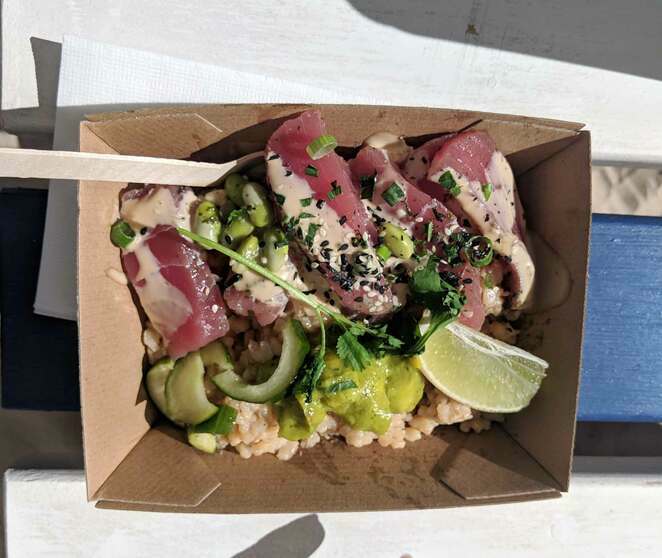 The tuna poke bowl was the first I've tried, and I'm glad I did! It's fresh and filling and probably a better option than a hot burger on a hot day. The kid's menu has tasty treats like fish and chips, toasties, and fruit plates. There's a calendar of activities at the club over the summer which include fairy parties for kids, special dinners hosted by wineries and Australia Day celebrations. 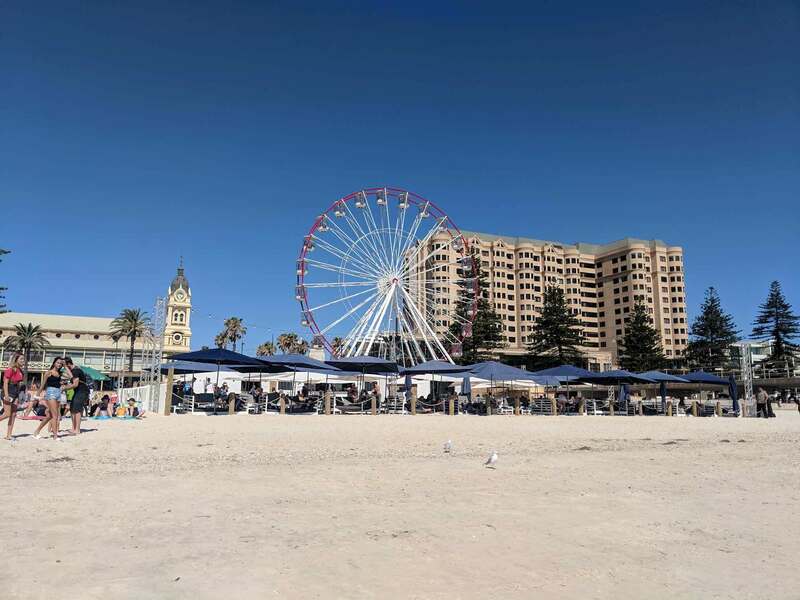 Glenelg Beach also hosts the Summer Sets beach volleyball competition right next door over the summer so there's plenty of action on the sand. The jetty always makes for a great walk as does Moseley Square and Jetty Road nearby. Adding to the atmosphere, a giant ferris wheel stands between the jetty and Moseley square. For kids, The Beachhouse is just a few metres away with waterslides and activities for little kids and big kids. 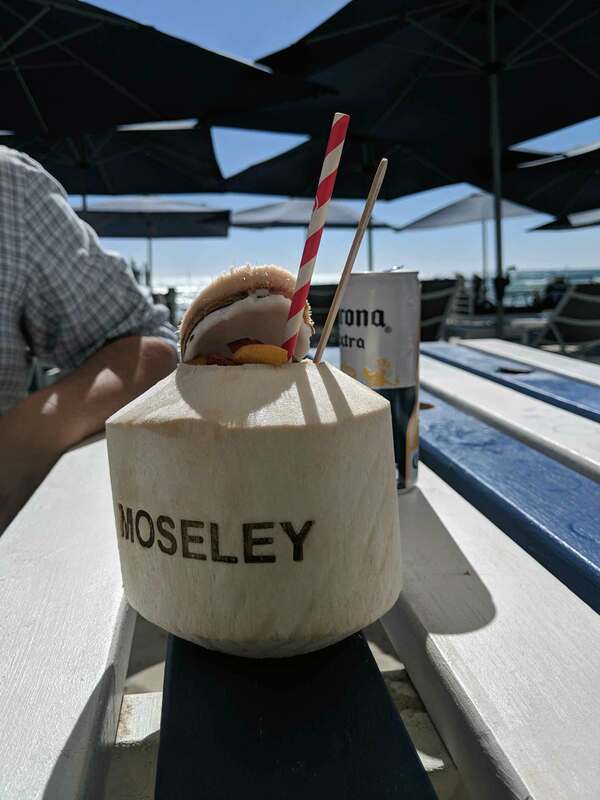 The Moseley Beach Club is a great place to spend a summer day. It's open 11am – 10pm Monday to Thursday, 11am – 11pm Friday, 9am – 11pm Saturday, and 9am – 9pm Sunday. 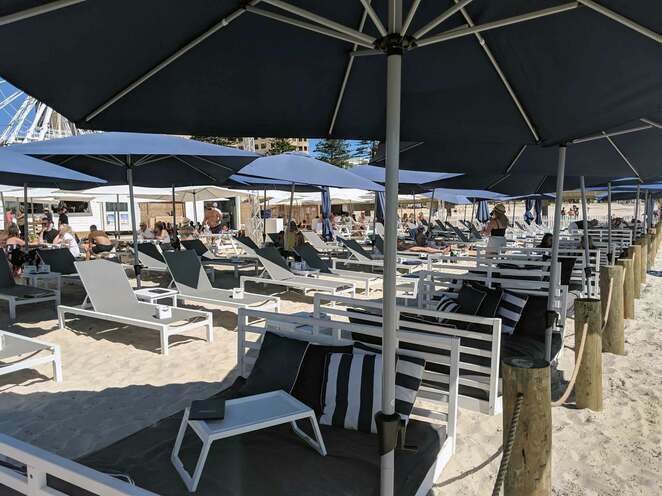 The sun lounges and daybeds have session times. The general admission area is first come, first served. Check the details here. Where are Adelaide's Closest Lookouts? Oh wow, my partner and I were just lamenting yesterday about how Aussie beaches don't have "bagni" like in Italy. Wish a Sydney Beach would do this. Looks like a cool place to be!